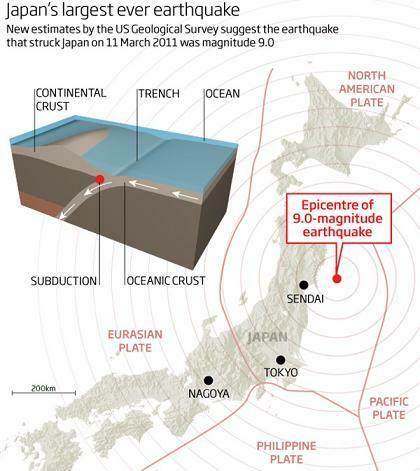 At the point of pressure for the compressing Pacific, the earthquake ridden Japan was given a devastating blow on March 11, 2011 with a quake just offshore its North Island (near Tokyo), now estimated even by the conservative USGS to be a 9.0 magnitude quake. The quake was followed by countless aftershocks. Considered the strongest earthquake Japan has even experienced, at least since record keeping began. 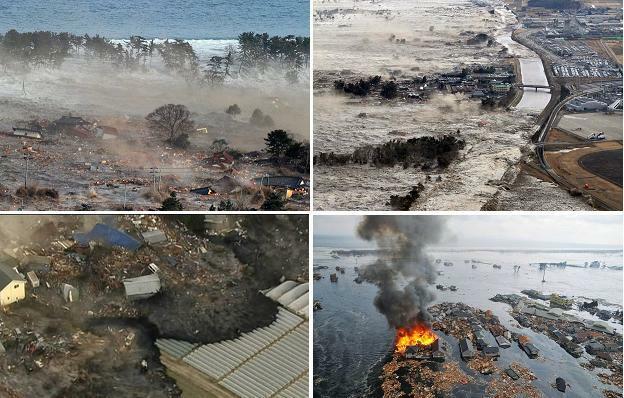 On March 11th, 2011, an earthquake of magnitude Mw 9.0 occurred off the coast of Honshu Island, Japan, at 14:46 local time (05:46 UTC.) It has been followed by a series of powerful aftershocks, with 31 earthquakes of magnitude larger than 6 in 3 days. The earthquake epicenter is located approximately 100 km off Miyagi at a depth of 22km. It was widely felt as far as Tokyo, about 400 km away. A tsunami wave was generated in the Pacific, with wave heights reported at more than 4 m high. Reports from Sendai harbour, Japan, due west of the epicenter, indicate a wave height reaching 10 m high. This is the largest earthquake ever recorded in Japan, and is among the 5 largest earthquakes recorded worlwide. The quake occurred on the finger of the North American Plate that drops down to hold the North Island of Japan. The Zetas have stated that this finger will not break off, despite the intense pressure coming from the compression of the Pacific. Subduction under this finger by the Pacific Plate occurs, instead. As powerful as this quake was, it is, per the Zetas, only an incidental quake in the scheme of things, and not the series of great quakes they have predicted for Japan during the 7 of 10 scenarios. ZetaTalk Description 3/19/2011: Plate tectonics involves various dramas on the plate borders - clash or subduction bounaries, slip-slide boundaries, and stretch zones boundaries. Where plate borders clash, one plate pushing against another, this most often has one of the plates either riding over or pushing under the other. Such border clashes are invariably accompanied by massive quakes in the range of magnitude 8-10. Japan, the Andes, the West Coast of the N American continent, and the Himalayas are examples of such border clashes. During such clashes there will be a point where the pressure is greatest, and that will be the spot where a quake will occur. The Pacific is currently compressing, in step with a widening Atlantic, all caused by the jerking around that planet Earth is enduring during the daily Earth wobble caused by the magnetic push/pull from Planet X. The position of the Moon and its resultant gravity pull has scant influence on the matter. The parts of the Pacific Plate are themselves compressing, down along the island chain that forms the Hawaiian Islands and on down to the Society Islands. These adjustments are primarily silent, for man, who does not have seismographs located on the deep ocean floor, but can be detected on occasion by the ocean buoys which show heaping water from one end of the Pacific to the other. The Philippine Plate is tilting, plunging under the Philippine Islands and lifting slightly on the other end near the Mariana Islands. The Mariana Plate is also tilting and plunging under the Mariana Islands. Thus, pressure from the central Pacific is being relieved by this movement, where pressure on the north Pacific requires adjustments at Japan. A glance at a plate tectonic map shows that the recent quake in Japan happened at recisely the point where the pressure from the compressing Pacific would be the greatest. Now that an adjustment has been made at this point, further folding of the Philippine and Mariana Plates can occur. This may be iterative, returning to the Japanese coast on occasion, or to New Zealand, which is lifting. The pressure point will move, and result in a quake. The quake generated a tsunami warning for the entire Pacific Rim. Waves reached the West Coast of the US and the coastline of Chile. Ocean buoys went off all over the Pacific, accordingly. But the devastation was to Japan itself, which suffered a tsunami 10 meters high roaring inland, scouring the coastline and, it is feared, washing away over 10,000 inhabitants of one coastal town. The Zeta warnings to be away from the coastlines when the pole shift hits, so clearly relevant. The Zeta warnings to anticipate travel restrictions, an inability to travel during the last weeks, was also brought home by photos of the condition of roads in Japan after this large quake. Is there any doubt that roadways, rail lines, and air port runways could be inoperable during the last weeks? The danger from living in cities and not leaving for rural safe areas was also depicted graphically in photos from the Japan quake. Fires break out, even when surrounded by seawater. Industrial storage tanks rupture and tip over. When there is no water pressure, fires cannot be put out in the traditional way, and rage unabated after earthquakes. Even in earthquake resistant Japan, which has made a science of building resistant buildings and houses, total collapse can be seen. How does one live in a city when there is no fresh water, no standing structures, the stores shelves empty of food, and no way to grow food? As if a 9.0 earthquake and attendant tsunami weren't enough, Japan also soon found itself with a nuclear nightmare. 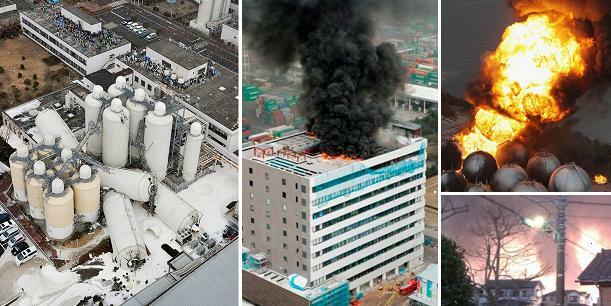 Several of its nuclear power plants at one facility went into meltdown. The electricity went out, and backup generators failed because the basements they were housed in became flooded with seawater. In addition, all manner of mechanical problems developed, simply from earthquake damage. Cooling rods were not inserted fully, and attempts to cool the reactors with seawater resulted in forced steam emissions, which of course carried radioactive pollutant. Despite reassurance, the situation seemed to get worse and worse. 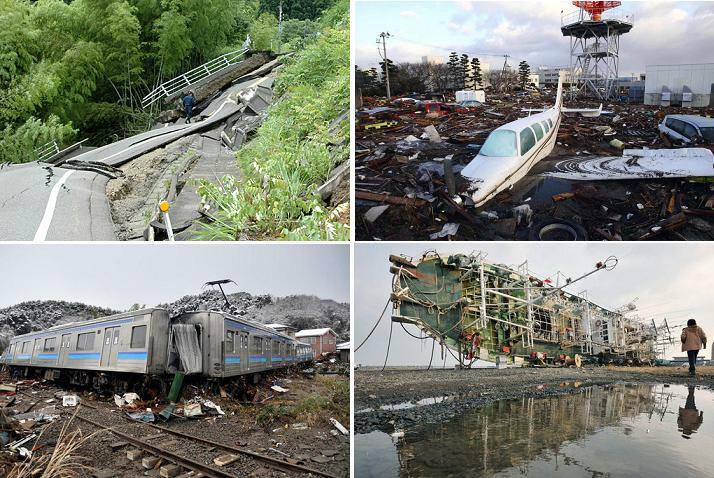 The central problem arises from a series of failures that began after the tsunami. It easily overcame the sea walls surrounding the Fukushima plant. It swamped the diesel generators, which were placed in a low-lying area, apparently because of misplaced confidence that the sea walls would protect them. At 3:41 p.m. Friday, roughly an hour after the quake and just around the time the region would have been struck by the giant waves, the generators shut down. According to Tokyo Electric Power Company, the plant switched to an emergency cooling system that operates on batteries, but these were soon depleted. The International Atomic Energy Agency said that "as a countermeasure to limit damage to the reactor core," Tokyo Electric proposed injecting seawater mixed with boron - which can choke off a nuclear reaction. It was a desperation move: The corrosive seawater will essentially disable the 40-year-old plant; the decision to flood the core amounted to a decision to abandon the facility. The problem was compounded because gauges in the reactor seemed to have been damaged in the earthquake or tsunami, making it impossible to know just how much water is in the core. Radiation is spewing from damaged reactors at a crippled nuclear power plant in tsunami-ravaged northeastern Japan in a dramatic escalation of the 4-day-old catastrophe, forcing the government to tell people nearby to stay indoors to avoid exposure. Prime Minister Naoto Kan warned that there are dangers of more leaks and told people living within 30 kilometres of the Fukushima Daiichi complex stay indoors. In a nationally televised statement, Kan said radiation has spread from four reactors of the Fukushima Daiichi nuclear plant in Fukushima province that was one of the hardest-hit in Friday's 9.0-magnitude earthquake and the ensuing tsunami. Japanese authorities have been injecting seawater as a coolant of last resort, and advising nearby residents to stay inside to avoid contamination. It also raised global concerns about the safety of nuclear power at a time when it has seen a resurgence as an alternative to fossil fuels. ZetaTalk Comment 3/19/2011: Have benign aliens been allowed to interfere with the Japanese power plant meltdown, limiting the damage? Yes, but they have not interfered to the degree possible, for the following reasons. Mankind, especially the elite in charge of running planet Earth, have been arrogant in the face of our predictions about the cataclysmic changes facing Earth. The elite have been aware of our predictions since the time of Roswell, yet their reactions were only to save their own sorry skins, not to protect the Earth or its inhabitants. The elite seek power and wealth, and thus pollute with impunity and seek only to establish safe areas for themselves. Despite our documented track record on prediction accuracy, the elite are still making every attempt to keep our predictions from the common man, choosing instead to maintain a cover-up over the coming cataclysms. They prefer to hope that our predictions are extreme, and thus they can go on with their plans, ignoring our warnings. As we have explained, we are not allowed to warn of specific pending earthquakes or tidal waves, by the rule of non-interference. We have only been allowed to explain the sequence of events, which we have done for the 7 of 10 and the last weeks, in exacting detail. We knew this earthquake was pending for the North Island of Japan, but could say nothing. We also knew that the nuclear power plants would be put at risk, and their safeguards would fail. Just what steps benign aliens were allowed to take to minimize any meltdown at these plants we are not allowed to detail, but suffice it to say that the meltdowns would have been violent and extreme, and would have occurred in more plants than experienced them, had intervention not occurred. It would have been beyond a Chernobyl, affecting not only the islands of Japan but also anywhere the winds would drift, including Hawaii and the West Coast of the US and beyond. The failure of the elite in Japan and elsewhere around the world to take our message seriously resulted in a situation where the Japanese assumed that the sea would not breach their seawalls, and thus their backup generators would be dry. This failed, the generators swamped by seawater. They assumed no failures in any electrical devices or cooling rods, a highly naïve assumption in light of what a magnitude 9+ earthquake can do. Unless nuclear power plants are shut down well ahead of time, so the cooling rods are inserted fully and the plant safe regardless of any quake activity, such accidents can and will happen elsewhere in the world, as they will at Japan's other nuclear plants. Man must do without his electricity, if this is the choice. Do we expect the elite, who want to placate the sheeple and garner wealth though industrial development, to listen? No, but we anticipate the pressure from the public to increase. The rest is in the hand of man! Per the Zetas, intervention in the affairs of man in these matters is not a simple thing. In general, man has free will and the Rule of Non-Interference prevails. But when many people give the Call, this can result in a decision by the Council of Worlds to allow alien intervention. But this is not a simple matter. ZetaTalk Explanation 7/17/2010: We have stated that because of the strong Call from many regarding the potential of nuclear pollution, that benign aliens have been allowed to interfere with the nuclear stockpile of weapons held by many countries. We will likewise be allowed to interfere with nuclear disasters at the time of the pole shift or other great quakes, limiting pollution from such incidents. But it should not be assumed that all such incidents will cease, or that a nuclear bomb will not detonate! Where a dirty bomb, for instance, were to be planted to effect real or false terrorism, it would be a violation of the Element of Doubt for that bomb to simply be neutralized. Humans are assisted to interfere with such dirty bomb plans, so that when the plot is aborted, their bombs are radioactive, live, but the plot does not succeed. 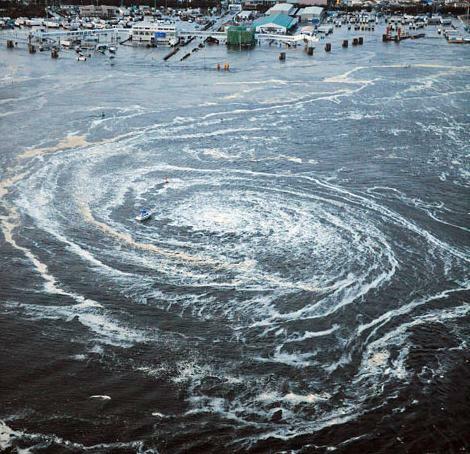 During the tsunami turmoil in Uzumaki, Japan a giant whirlpool formed in the bay. The Zetas had warned that such whirlpools would form as a result of turmoil in the currents. ZetaTalk Warning 1/12/2000: We also predict that there will begin to be reports of whirlpools in the oceans that will startle those who have never seen such a thing in the oceans. Per the Zetas, such whirlpools will be formed during the last weeks and the hour of the pole shift. Their prediction of the oceans in turmoil, creating such whirlpools, has been proven true in Uzumaki! ZetaTalk Comment 9/15/1996: During a pole shift and the days preceding a pole shift there are many forces affecting the oceans which, when applied to the atmosphere, create tornadoes. In the days leading up to a pole shift, the stopped rotation of the Earth causes the water formerly pulled toward the equator by rotation to equalize. The water at the equator starts flowing toward the poles. All of these actions set water in motion, and many of these actions occur simultaneously, created chaotic motion. Thus, water may be in a position to suddenly drop, having been heaped high in proportion to the surrounding water. Cold arctic water may have been thrust on top of warmer water, and as with tornadoes, when the thrust that caused this situation stops, the cold water will suddenly drop, creating a vortex. These giant whirlpool have been recorded by the ancients, as their ships on occasion were caught in them during a pole shift. When one of the fleet managed to escape, the tale was told and recorded. However, as with many pole shift generated tales, these tales are taken to be myths. Sinking on the plate tongue holding Indonesia primarily occurred on the island of Java during the past two weeks, as these news articles up to March 17, 2011 show. Strikingly evident is the subsidence and flooding despite rain. Near Jakarta, districts in Pandeglang report flooding that does not subside - "The flood has not subsided". Note the utter lack of rain during this time, not even an inch. The river overflows, but this is not from rain but a failure to drain at all into the sea. The land is sinking! Hundreds of hectares of rice fields in three districts in Pandeglang, Banten, over the last three days submerged in floods caused by overflowing of the River Cilemer. The rice fields affected by floods hit three districts namely Sub Patia, Pagelaran and Sukaresmi in Pandeglang. Height of water ranges from 60 cm to 1.5 meters. The flood has not subsided so that citizens can not go home, they still live in refugee camps. 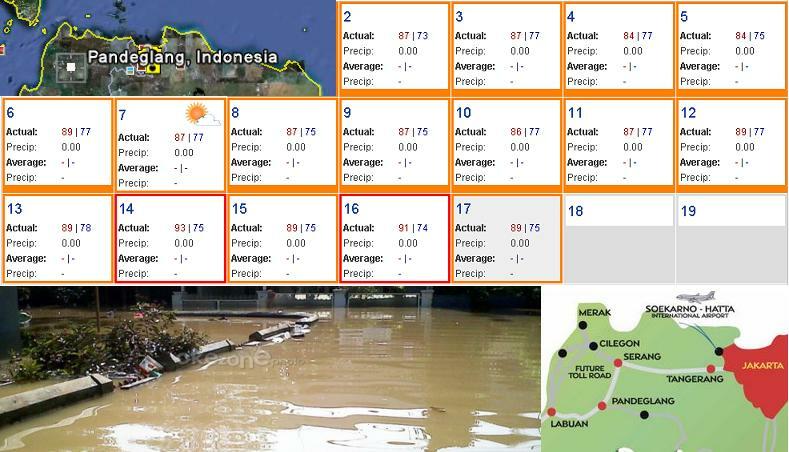 Again flooding with no rain in Gresik on the island of Java. Note the admission in this article complaining about the rain blame game. "Contrary to what is said" and "it does not rain". Note this region is along the coast and is lowland. Flooding has not fully subsided in Gresik. Flood in District Benjeng, Gresik slowly has begun to recede, but the floods have not receded in District Cerme. Settlement residents and roads still flooded flood of Kali Lamong. Contrary to what is said Suryo, Camat Cerme, Bambang Wibisono, said the floods are still inundating several villages and streets in Cerme. Floods still puddled with a height of about 50 cm in the settlement residents and 40 cm on the road. The village is still submerged in flood is Iker Geger, Morowuri and Dungus. Roads flooded is a provincial road in the Pond Rice. With a record of the Western regions it does not rain. In the Aceh region on the island of Sumatra, dozens died and hundreds of homes were suddenly inundated. The claim of course was rain, but only 2.52" of rain fell over a four day period in the region. Note this region is once again along the coast and is lowland. Indonesian Red Cross (PMI) has intervened to cope with flood disasters Pidie, Aceh, which occurred yesterday. Although to break through flood locations in Pidie District is very difficult, according to Budi, PMI Centre has not gone down to help PMI PMI Pidie and Aceh Province. And in Viet Nam, salt water is intruding inland, alarming those who fish the fresh water river. The lack of rain upriver is noted, and the rain chart certainly shows this to be the case. Once again, this is along the coastline and in lowland. The phenomenon of saltwater intrusion Dong Nai River to alarming levels. This phenomenon will continue in a serious time until now, the Dong Nai river upstream is water shortage. Saigon Marketing correspondent had a talk with Mr. Nguyen Kim Phuc, director of Dong Nai hydropower companies to learn more about this issue. Per the Zetas, where plate undulation has slowed the sinking process, it nevertheless will proceed to their predicted level of subsidence. ZetaTalk Estimate 3/5/2011: When plate undulation started promptly after the plate tongue holding Indonesia started to sink, we informed the public. On December 31, 2010 in fact, before the year's end. Prior to that, we had stated the sinking would take 2-3 weeks. It is now at 10 weeks, and counting. Plate undulation is not something that stops, once it starts, as momentum is involved. Sinking only commences, again, when the curve of the Indo-Australian Plate under Sumatra and Java lifts, which is only part of the undulation process, a minority of the time. This can be computed if one looks over the documentation Nancy has provided on buoy readings. Where the lift lasts for a day or two at most, the period of time when the curve is pressed down again lasts for a week. Thus, sinking could be assumed to be in process only 1/5 of the time, 2-3 weeks thus taking 10-15 weeks, and this pace assuming no other interference with the sinking process is involved.